You probably won’t meet a bigger Beatles fan in Derby – and this just goes to prove it. Derek Oldfield is such a big fan of the famous foursome that he has spent the past five years converting his garage to create his very own Beatles bar.The 65-year-old from Allenton firmly believes it is the best in the country.Derek Oldfield, 65, has converted his Allenton home garage to a Beatles bar.Derek Oldfield, 65, has converted his Allenton garage into a Beatles bar.Unfortunately the bar is not open “Eight Days A Week” – not all things can be perfect but I suppose we can “Let it be”. The bar is filled with hundreds of items of Beatles memorabilia any fan would love to have in their home.The Beatles are regarded as one of the best bands the world has ever seen. The band, comprising Paul McCartney, John Lennon, Ringo Starr and George Harrison, dominated the 1960s before enjoying success as solo artists in the 1970s.Read More When new kids on the block The Kinks stole the show at Derby’s Gaumont cinema Famous tracks include Hey Jude, Yesterday, Yellow Submarine, Can’t Buy Me Love, Twist and Shout to name just a few.Mr Oldfield, who is now retired after working for Derby County’s lottery office for many years, both at the Baseball Ground and Pride Park Stadium, said he has loved 60s music since being a teenager.The bar features all the Beatles memorabilia you could wish to think of – records, toy figures of Paul McCartney, John Lennon, Ringo Starr and George Harrison, CDs, newspaper cuttings, magazines, calendars and picture frames galore.The bar features all kinds of Beatles memorabilia The bar features all kinds of Beatles memorabilia And the bar also features Mr Oldfield’s pride and joy – the Yellow Submarine Jukebox which plays a long list of famous Beatles tracks via one press of a button.Asked what the total value of items was in his Beatles Bar, Mr Oldfield estimated it was around the £10,000 mark – who says money can’t buy you love? Mr Oldfield, who is married to his wife Linda and has three daughters, made Derby Telegraph headlines back in 2001 when he transformed his garage into a bar which was known as the Blue Lagoon.Read More Little Richard, Bo Diddley and the Stones shared Derby Gaumont bill But following a visit to Liverpool several years ago and seeing Beatles Mania in the band’s home city, he was then inspired to create his own magical space dedicated to Britain’s famous foursome.Mr Oldfield said: “The Beatles were a fantastic group of the 1960s and their music will live on forever more and as far as I’m concerned they are the best band in the world. Since being 14/15 I’ve loved the 1960s music scene. Derek loves his 1960s music Derek loves his 1960s music“As I started to make the Beatles bar it’s got more addictive as I’m always looking to add to it. 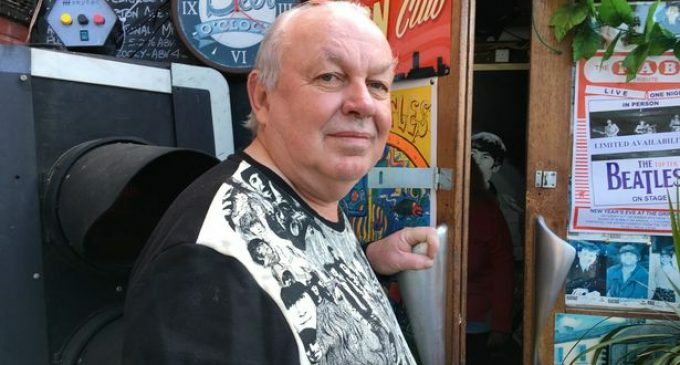 My friends come here and they spend ages inside because there is so much to see and enjoy.“I’m extremely proud with what I’ve created – right from the beginning when it was just a bar to transforming it to my passion of 1960s music. We’ve spent so much time in here. My friends just can’t believe what they are walking into. 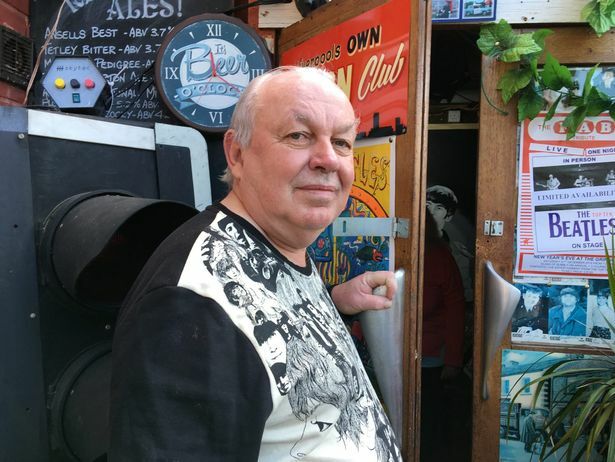 Within…“It is the best Beatles bar in England and maybe the world.” The only regret Mr Oldfield has is the fact he never saw the Beatles perform live, though he did see Paul McCartney at a gig in Birmingham. “I so wish I could have seen them live, it would have been amazing,” he added.